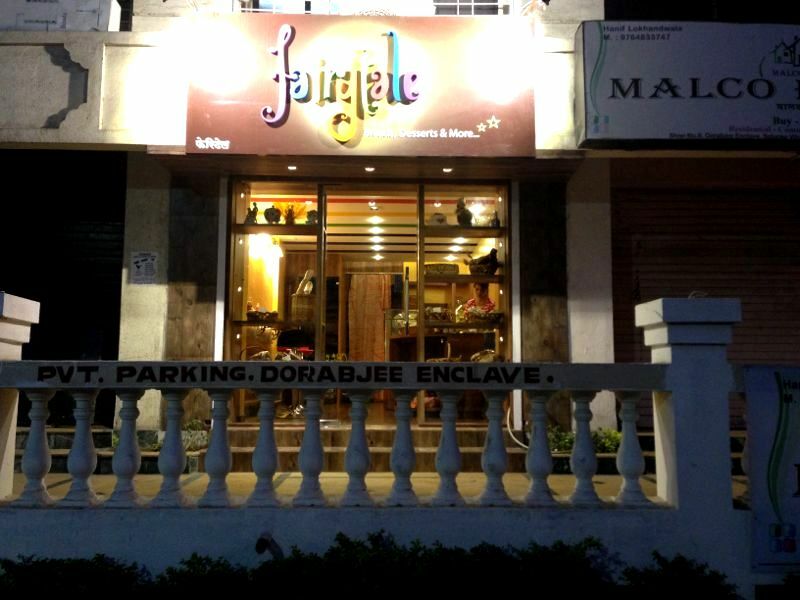 Mehernosh Musa, ex pastry chef, Ista Hotel Pune, approached me to design his independent venture, Fairytale in Wanowrie. 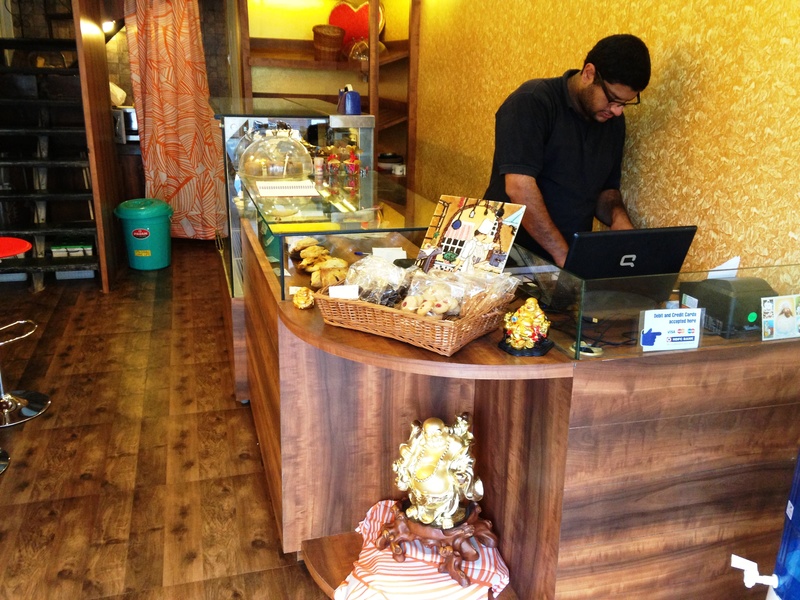 He was looking for a cosy atmosphere in the bakery without compromising too much on the functionality in terms of furniture units and materials. His other major condition was a limited budget. 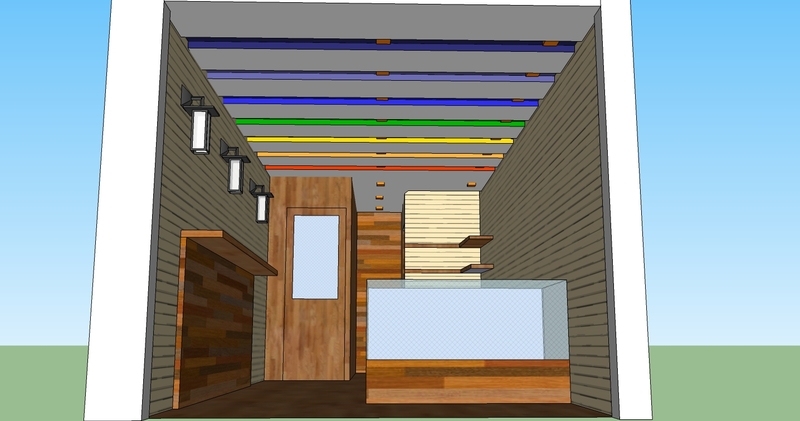 A 3d sketchup of the the bakery as I envisioned it before the work started. 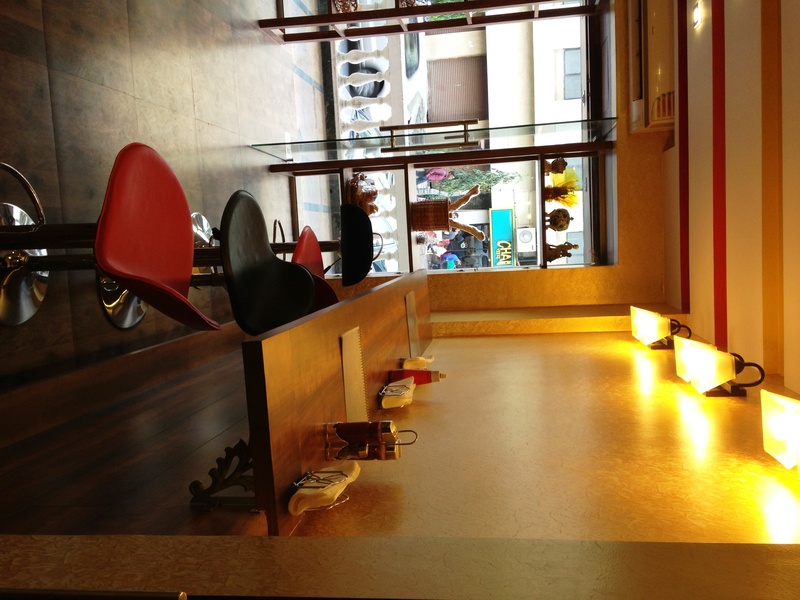 Mehernosh did not want the typical synthetic looking design with lots of bright lighting and wallpapers. 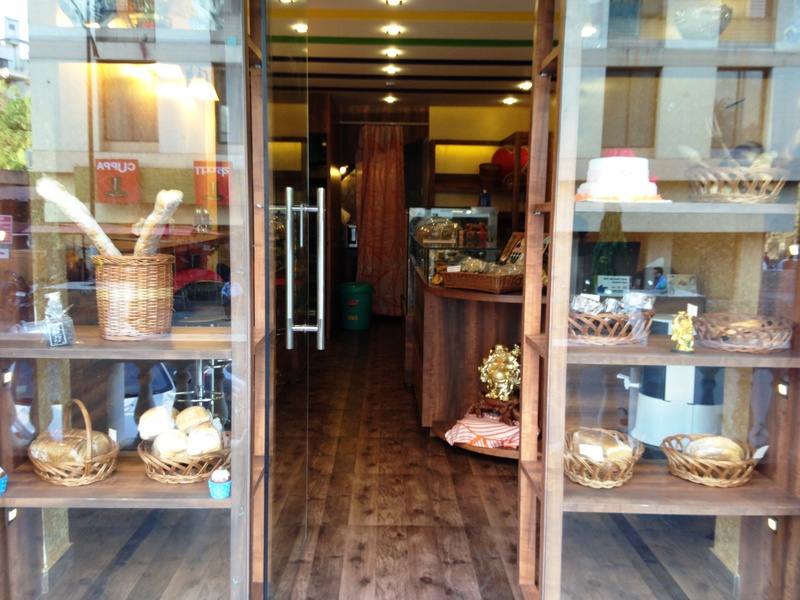 Keeping in mind this requirement, I set down to envisioning how I wanted the store to shape up. 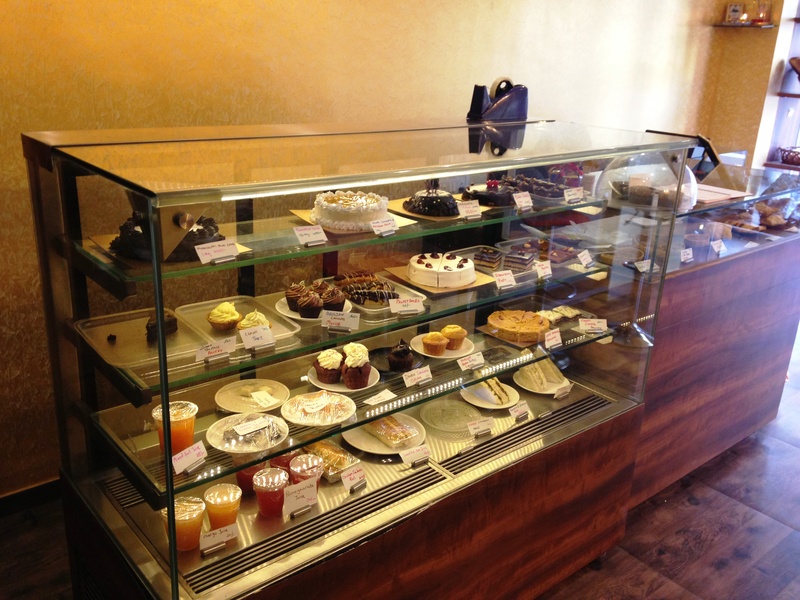 The name of the Bakery was decided right at the onset and that helped me in the design process to a certain extent. In keeping with the name I decided to have all the walls painted in ragged gold to give it the cozy feel reminiscent of a fairytale. The lighting is also soft in keeping with the mood. 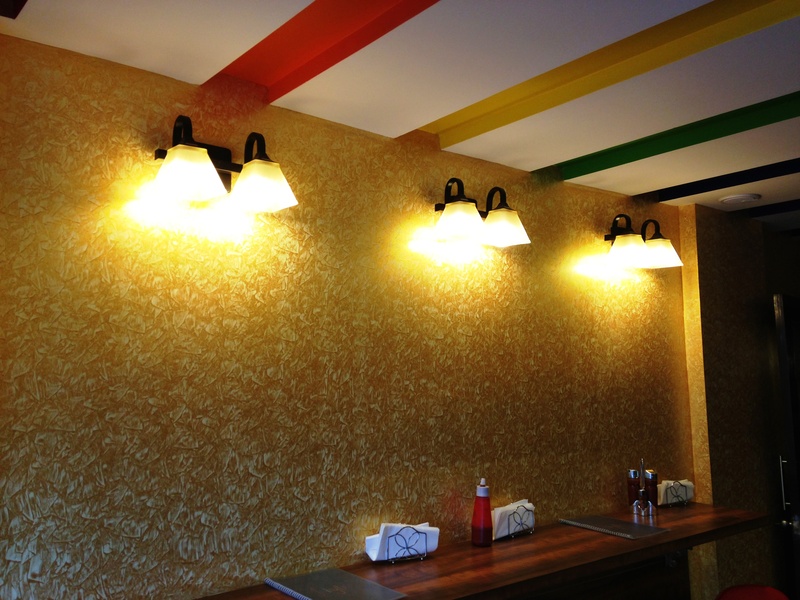 To add a little spice and colour to the space, I experimented with colours in the ceiling. 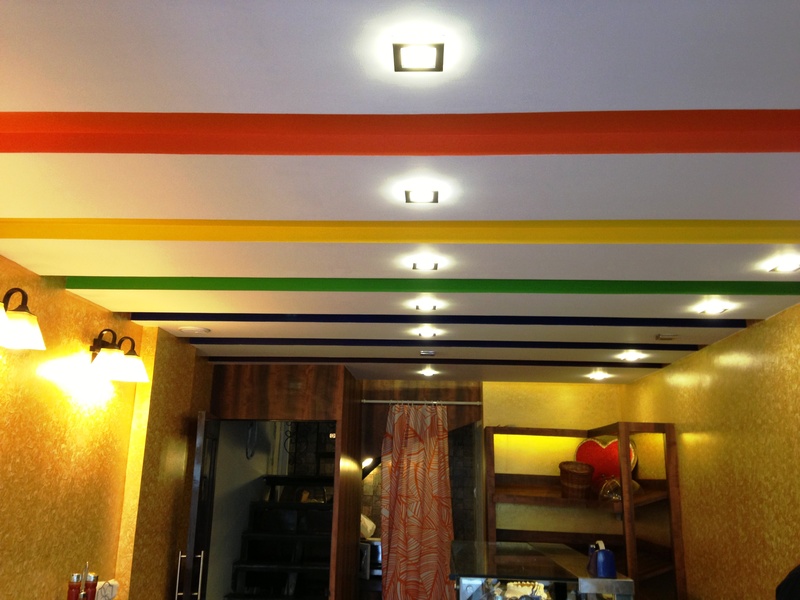 Horizontal stripes in the colour of the rainbows make the space look immediately eye catching. 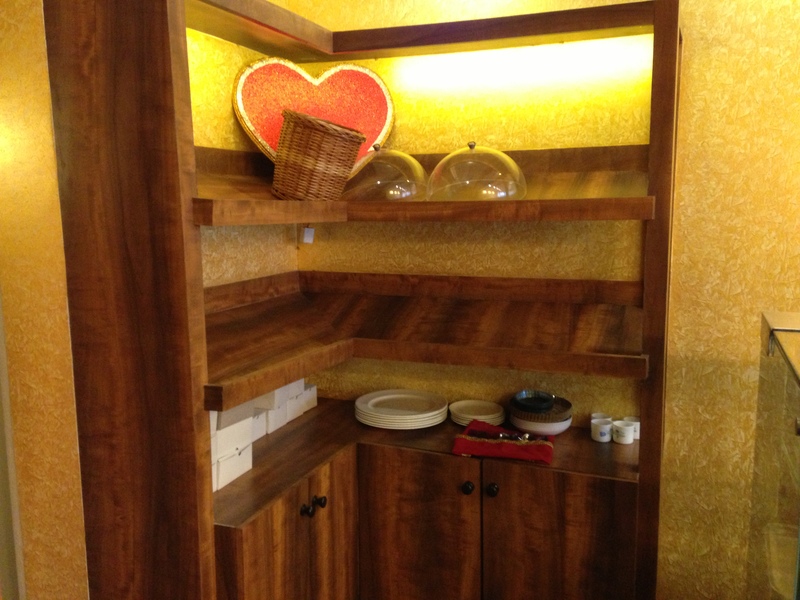 The furniture is very simplistic and contemporary with lots of soft lighting to highlight the food materials on display. Lastly, a bakery is incomplete without chocolate, so the brown came in the furniture and the flooring thus completing the cottage look. 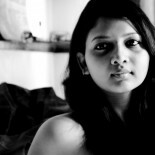 Mehernosh knew what he wanted and I shaped his thoughts into “Fairytale”. The billing and display counters. The wall lights above the service counter. View of the complete bakery from the staircase leading to the production area. 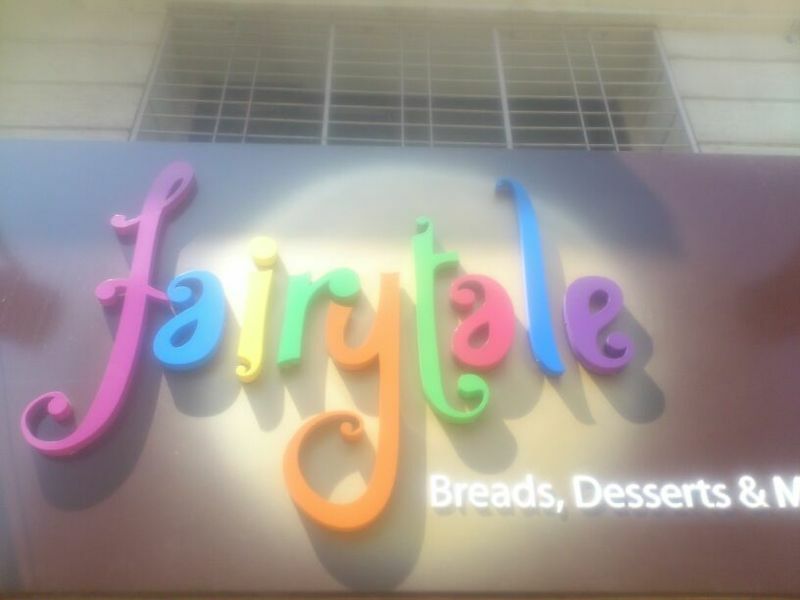 This entry was posted on February 26, 2013 by Anjali in Commercial spaces and tagged bakery, bakery display, break racks, cash counters, Fairytale, independent designs. interesting interiors. 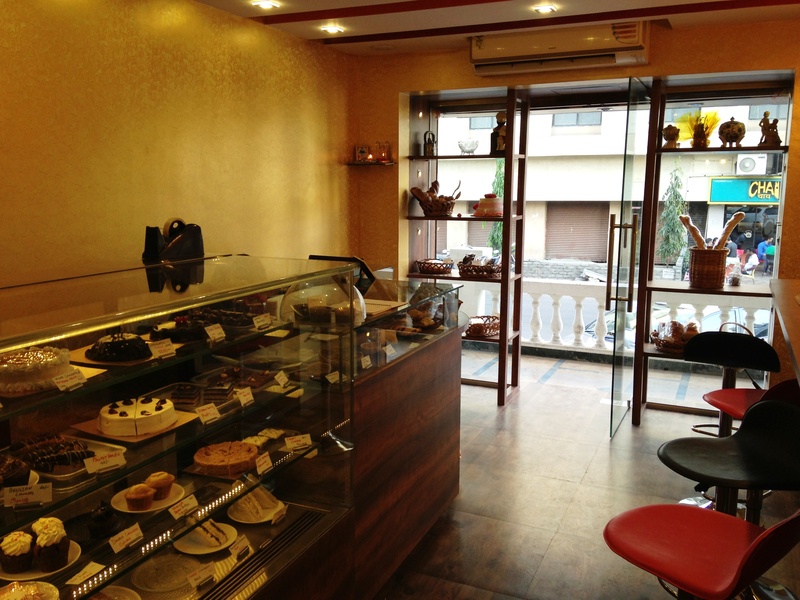 bakery interiors, Pune.